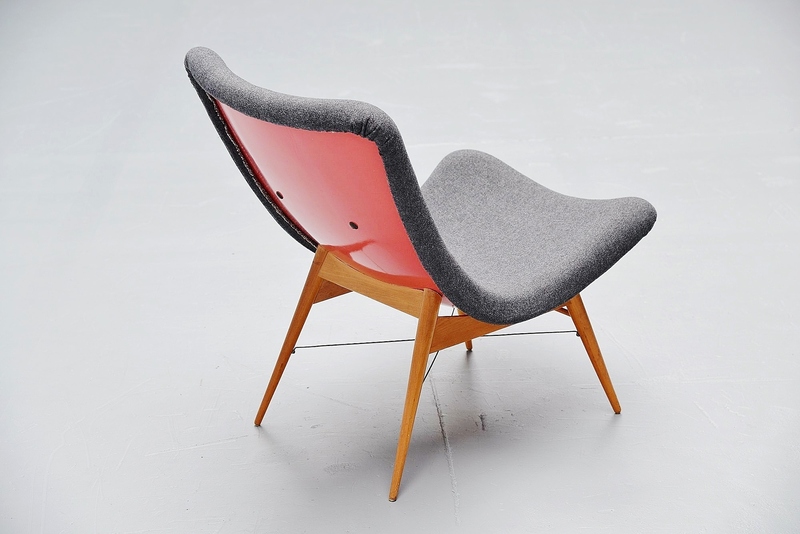 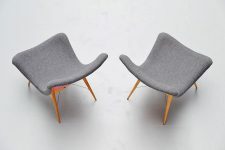 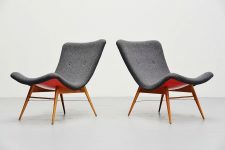 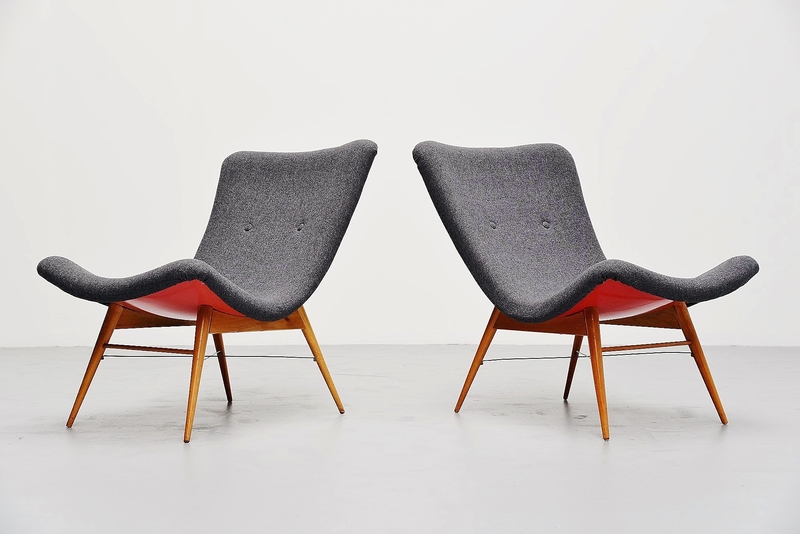 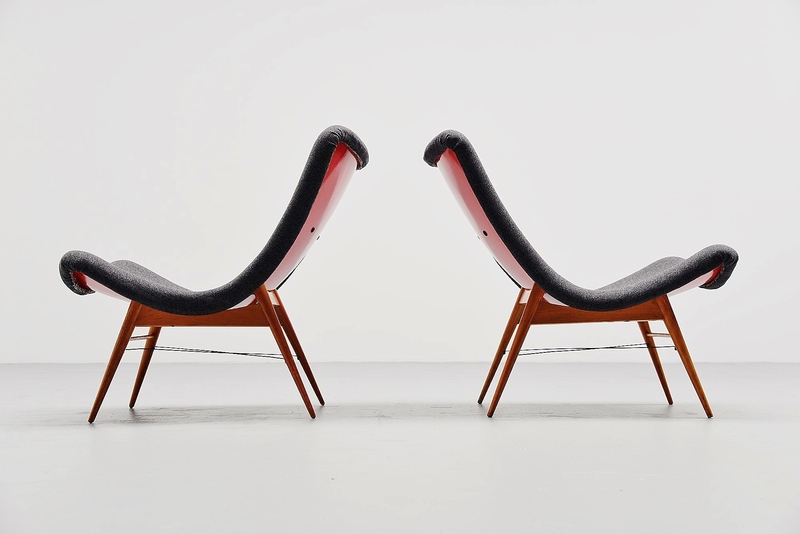 Very nice pair of low lounge chairs designed by Miroslav Navratil, manufactured by Cesky Nabytek, Czech Republic 1959. These chairs are very unusual with birch wooden legs, stabilized with the metal cross connection in between. 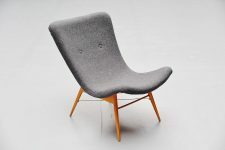 The shell is made of pink colored polyester and the upholstery is new, this is fabric by Kvadrat, Flora-2 186 in dark grey color. The fabric is designed by Erik Ole Jorgensen, its very nice and high quality fabric. 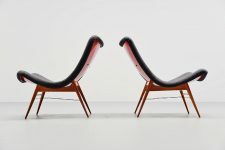 The chairs seat very comfortable and look great too. 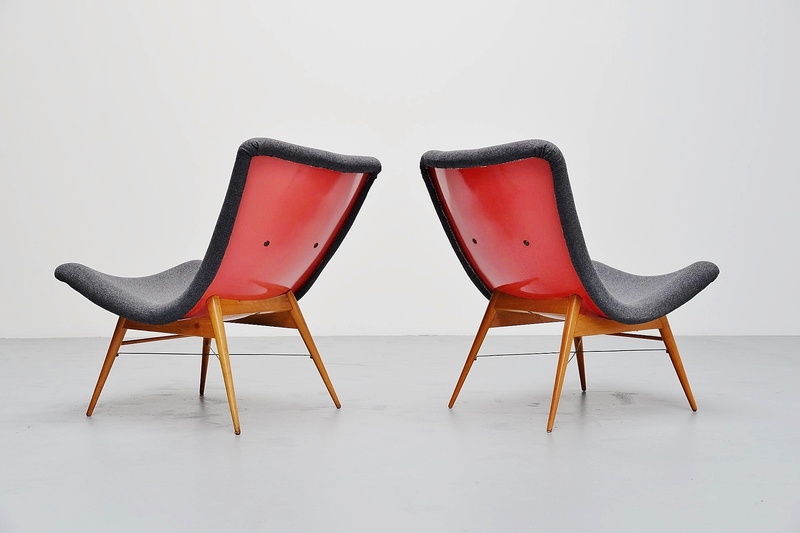 Marked with original labels. Priced and sold per pair.